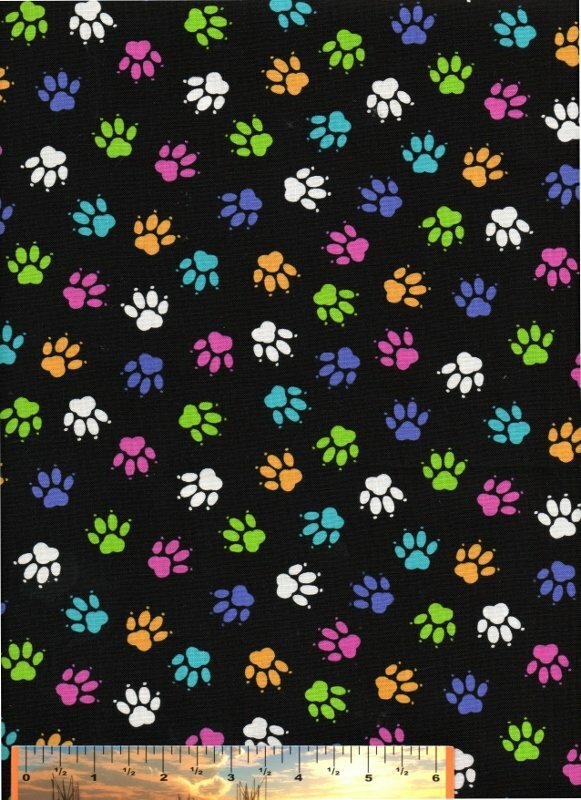 It was love at first sight when we saw these stylized bright Kitty Kats on black! All of our Kitty Kat pieces work beautifully with our Wondertones. 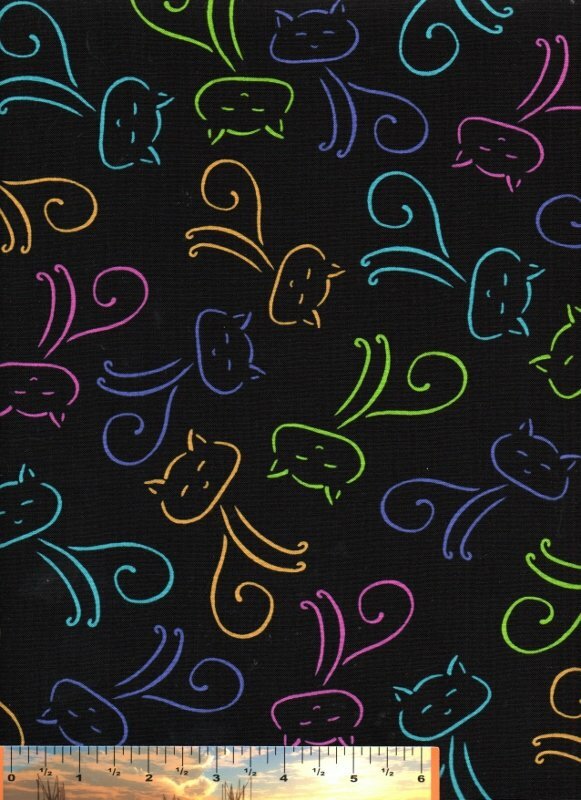 It was love at first sight when we saw this bright-on-black Kitty Kat prints from Blank, so of course we had to share them with you! 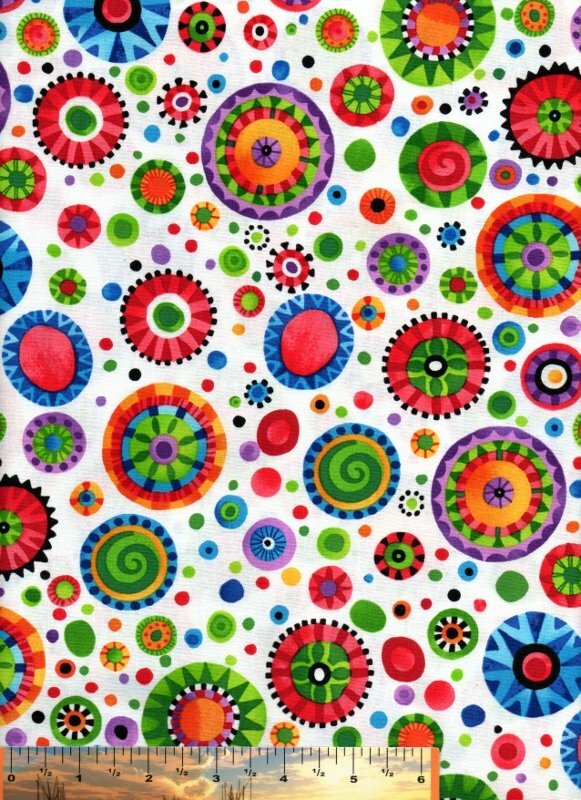 We love these Wondertones bright "wheels" on white - there are so many possibilities with these great prints! 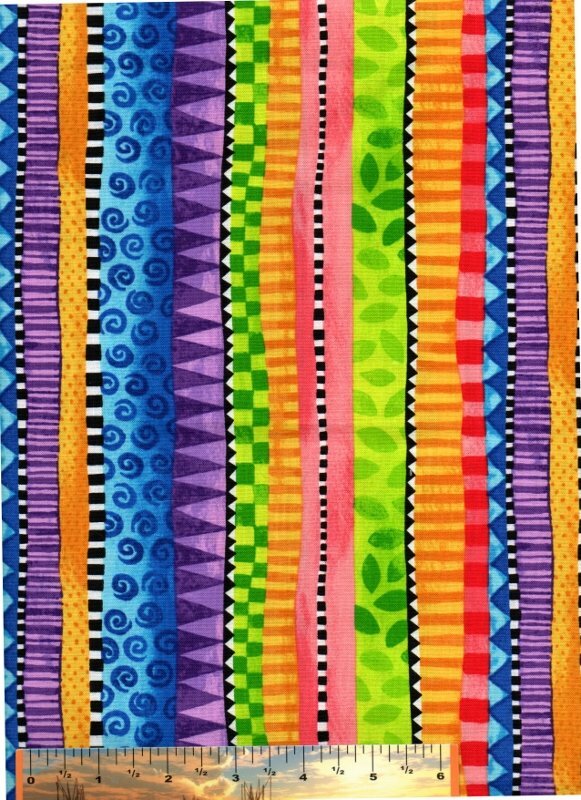 This bright multi-colored border stripe from the Wondertones collection is proving to be so versatile! 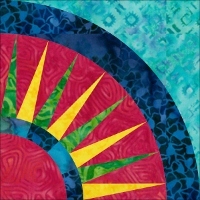 Great as borders, kaleidoscopes ... you name it. 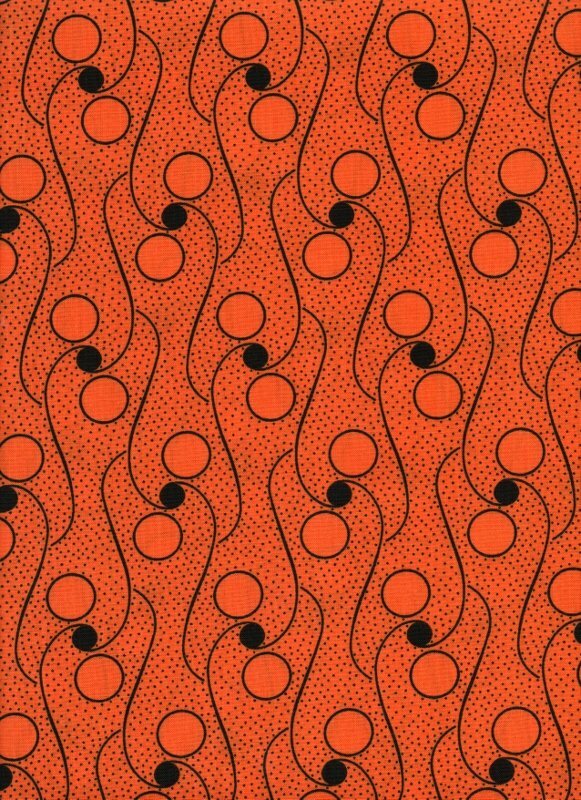 Skidoodle in orange and black is so versatile! 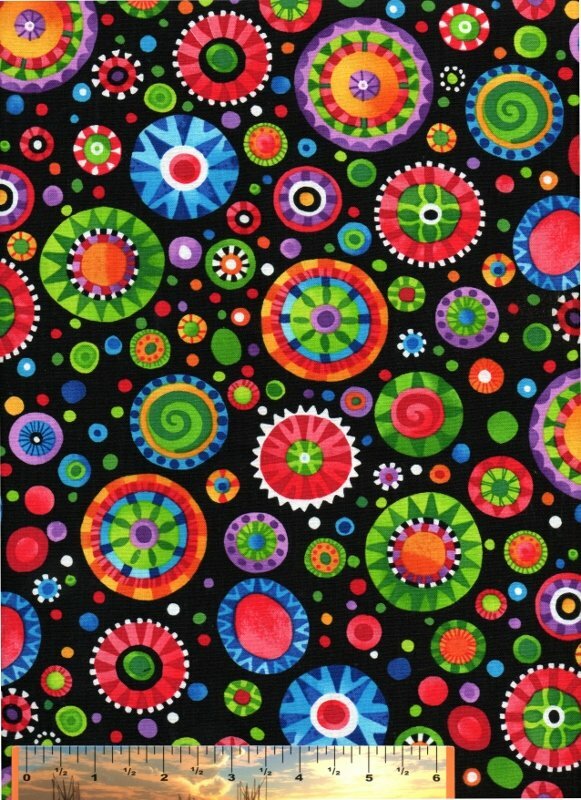 Obviously good for Halloween projects, and a great pairing with our Espresso print. 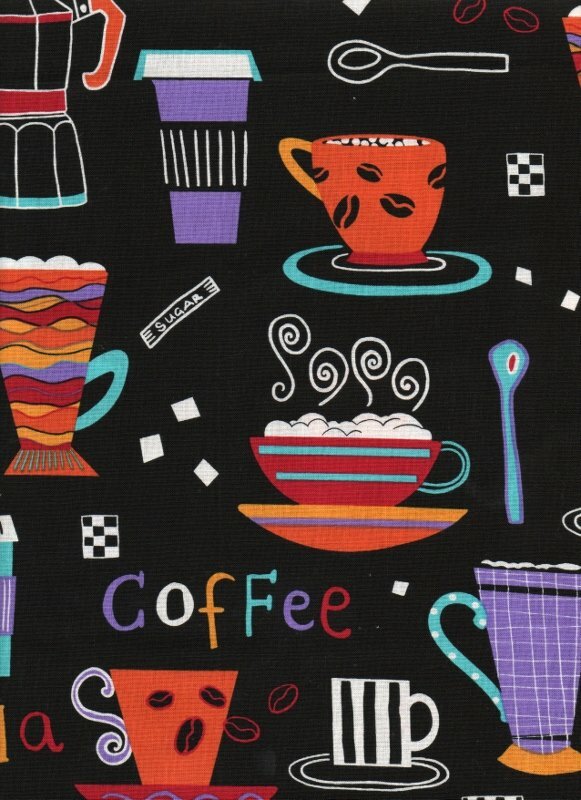 This fun espresso-themed print from Blank Quilting just speaks for itself! 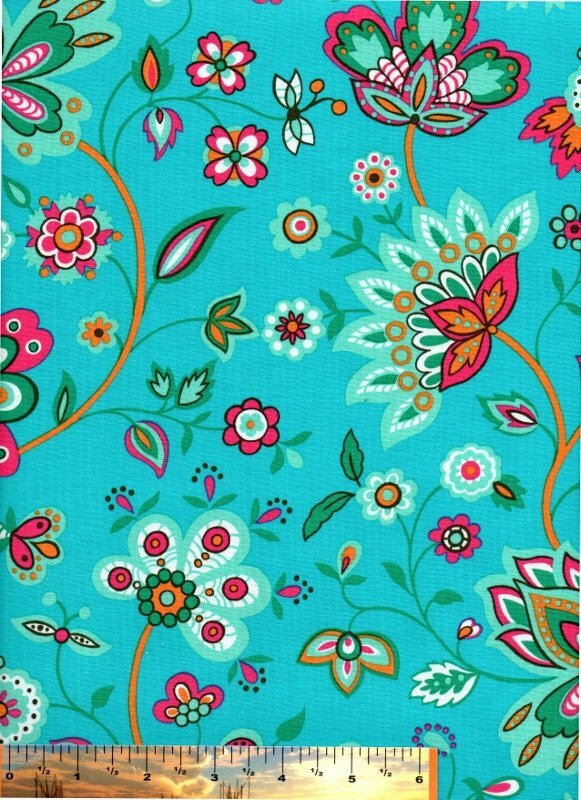 A focus print from the Sisely Collection, this Jacobean print is lovely for spring and summer projects. 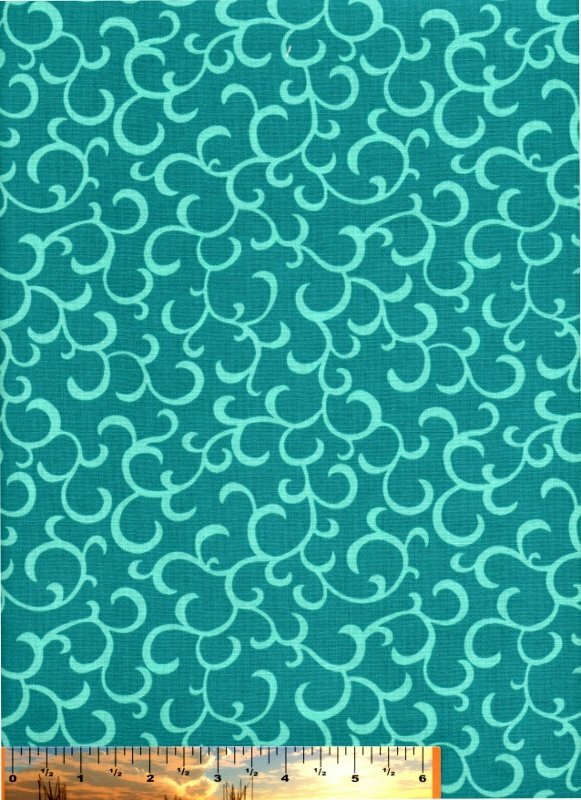 Part of the Sisely Collection, this tone-on-tone turquoise scroll print adds wonderful texture to your projects. 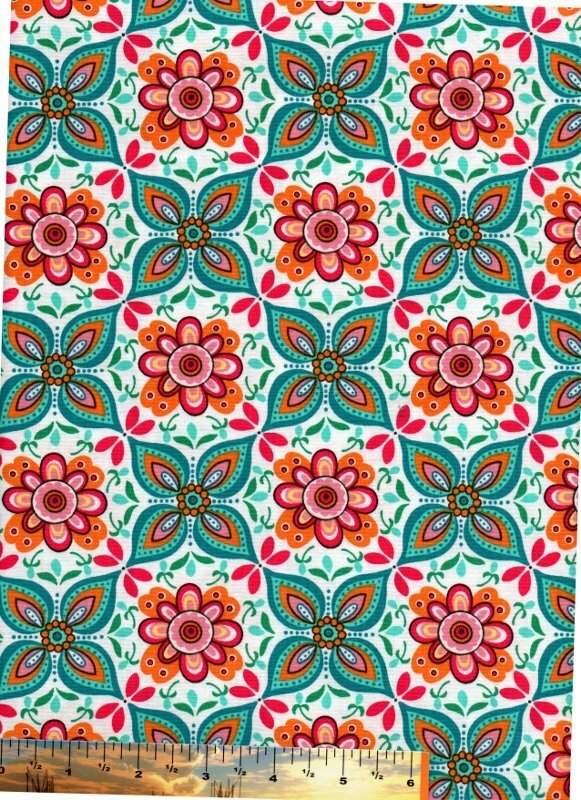 Our 3rd piece in the Sisely Collection, this tile print just has that summer sort of feeling. 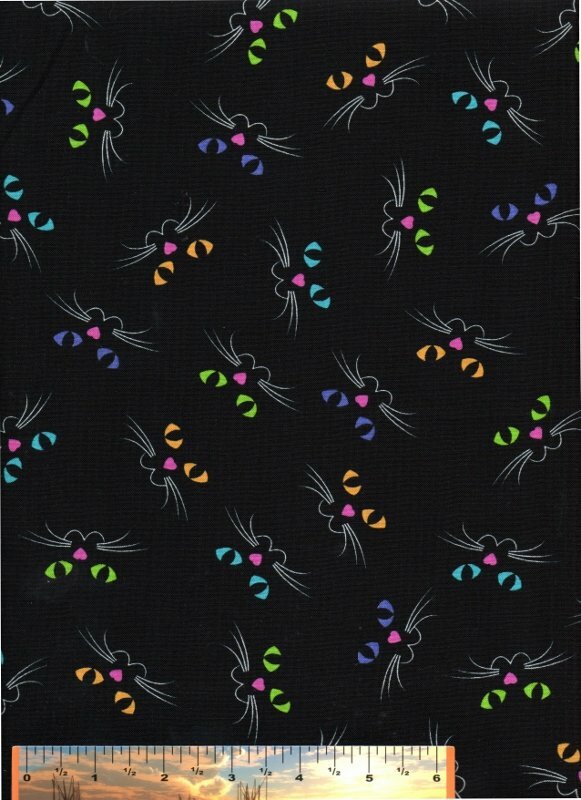 We fell in love with this Kitty Kat Collection - these stylized bright eyes on black are just mesmerizing!